Dr. Clifford Gluck is a widely known Urologist in the Greater Boston Area, certified by the American Board of Urology. Dr Gluck has been practicing medicine for more than 30 years, and specializes in advanced sexual wellness. With cutting edge procedures and techniques, he is helping to transform the landscape of sexual health. 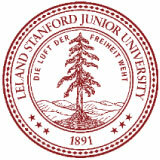 Dr. Gluck holds degrees from Stanford University, the UCLA School of Medicine, and Harvard University. His focus now includes rejuvenating the body and mind through highly specialized wellness procedures. Dr. Gluck holds awards from America's Top Urologists '10-'15, America's Top Surgeons '11-'16, America's Top Doctors, Best of Boston 2016, and America's Best Physicians '17-'18. Dr. Clifford Gluck is one of the few physicians in Massachusetts to specialize in Bioidentical Hormone Replacement Therapy. With over 30 years of experience in private practice and countless successful procedures, Dr. Clifford Gluck is one of Massachusetts top Urologists. Dr. Gluck is known for providing his patients with exceptional care and is certified in many advanced procedures. 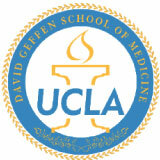 After graduating Stanford University with honors, Dr. Gluck went on to study at UCLA School of Medicine where he received his Medical Doctor (MD). After graduating with his medical degree, he began his post doctoral work with an internship in general surgery at Tufts New England Medical Center and a general surgery residency at UCLA Center for Health Sciences. Dr. Gluck then completed his four year Urological residency at the highly selective Brigham & Women’s Hospital/Harvard Medical School Program, ultimately serving as Chief Resident in Urology at Brigham & Women’s Hospital during his final year. Outside of work, Dr. Gluck is an avid health and wellness practitioner. He stays busy exercising, maintaining his Paleo diet, playing the trumpet, competing in Pro-Am dance competitions, and traveling to destinations around the world. He believes in living life to the fullest, staying active, and optimizing his health. 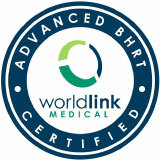 ESWL Certification Massachusetts General Hospital, Boston, Mass. Laser Certification, Harvard Medical School, Boston, Mass. Laparoscopic Urologic Surgery, Harvard Medical School, Boston, Mass.